Wellington Free Ambulance (WFA) provides emergency paramedic service for the people of Greater Wellington and Wairarapa. 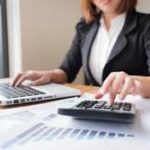 This well respected not for profit organisation is looking for an astute accountant to come on board to assist them, particularly, someone who is results driven, enthusiastic and enjoys working as part of a team. It is preferable that you are CA qualified, or well on your way. This is a desirable opportunity for someone to make a step up to further their career progression. The right candidate will have strong financial accounting experience and will be competent in strategic vision, delivery of effective advice to business units, understanding of financial analysis, systems improvement and business management. We are looking for someone with 2-3 years accounting experience with a sound knowledge of CAANZ requirements, good knowledge of Excel, including pivot tables. The person will have superb interpersonal skills, demonstrate a high level of initiative, friendly and able to cope with open plan, ability to work independently as well as providing support within the finance team includes some mentoring. If you are looking towards your future this role will enhance your career prospects. Please apply online attaching your CV and a covering letter that details your interest in this role. For further information call Karen on 021 448 796 for a discussion in confidence.